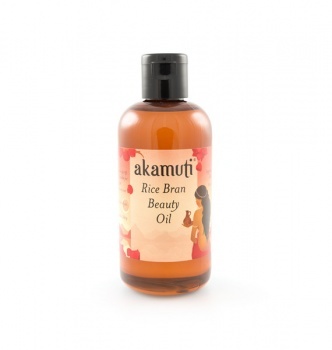 A traditonal Japanese beauty oil used to cleanse & purify the skin & condition the hair. Central to Japanese skincare, rice bran has been revered as a skin beautifying oil & complexion enhancer for centuries. Gentle & softening, it is ideal for facial cleansing or moisturising. Full of Vit E & rich in anti-oxidants, it is easily absorbed by the skin & very pleasant to use, encouraging skin renewal & healthy skin tone. It is also reputed to prevent sun damage to the skin & is ideal for sensitive or mature skin.